The cost of new rollers for every paint project adds up fast! Save money with some seriously easy tricks that will extend the life of this essential tool. 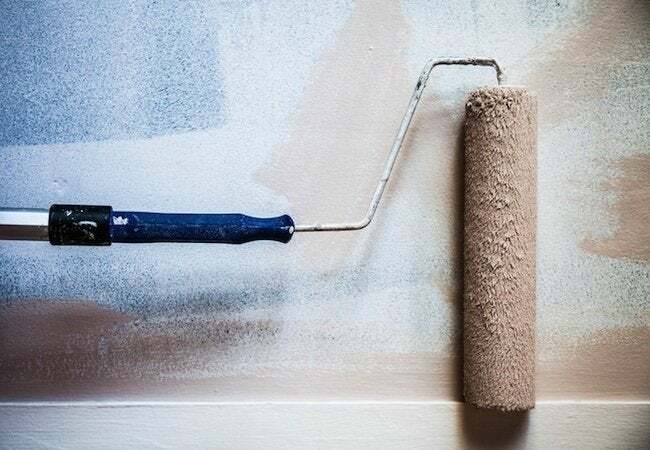 Painting a room can be quite the process: choosing your paint color, covering all of your furniture, prepping every surface, taping off trim and hardware, priming, and then (finally) painting the room—phew! So it’s no surprise that by the time you finish painting, following the proper cleaning procedures doesn’t hold much appeal. However, if you take correct care of your tools now, you may save time and money later. Try these simple tips to extend the life of your paint rollers and make your next painting endeavor even easier. First, keep in mind these principles: Not all paints require the same type of cleaning, but no matter which method you use, all should be cleaned immediately after use. (For the love of Benjamin Moore, don’t let the paint dry!) The sooner you take care of the job, the less need for soaking your roller in water or a cleaning solution of any kind, which could soften and damage the structure of the roller cover. If you’re cleaning water-base paint off of a roller cover, start by washing it with warm water and soap, and continue until all of the paint is removed. 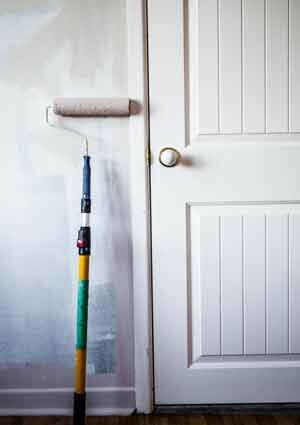 A putty knife can help work off stubborn, stuck-on paint. Then, rinse only with water until you’ve removed any lingering soap. Squeeze out any excess water and string the roller through wire or a dowel to dry. Don’t lay it down flat, as that can damage the nap. Oil-base paints, shellacs, or varnishes require a little extra work. Read the cleaning instructions on your specific paint type for the solvent you should use; some usual suspects are mineral spirits, denatured alcohol, or paint thinner. Pour the solvent into a container large enough to fit your roller, then dip your tool in. You’ll want to switch out the solvent every so often until the roller comes out clean. Shake off excess in the container, then pop the cover back on the roller to spin it dry—just be careful not to get any of the solvent in your eyes. Even if you take impeccable care of your rollers, a little wear and tear is natural over time. Use scissors to trim off any dried beads of paint along the edges, but be gentle! You won’t want to hack away big sections that may mess up your next paint job. Finally, when you’re getting ready for your next paint project, just remove dust particles from storage by gently running a lint brush over your dried roller. And like that, your like-new tool will get you through many more DIYs to come!